It is a two step stamp set, with detailed outline images and then solid stamps to full them in. 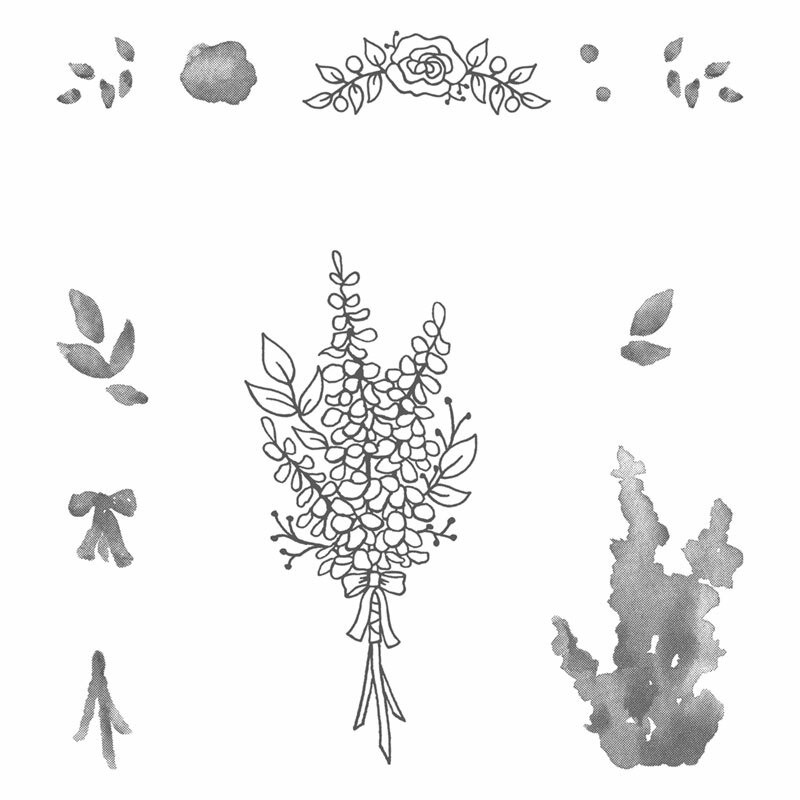 I chose not to use the bigger, main image but the smaller flower spray. Firstly I decorated one of our mini pizza boxes with Petal Garden DSP in Sweet Sugarplum. I die cut a circle from Whisper White card stock with our Stitched Shapes Framelits dies and stamped the outline image for the floral spray twice in Memento Black ink. 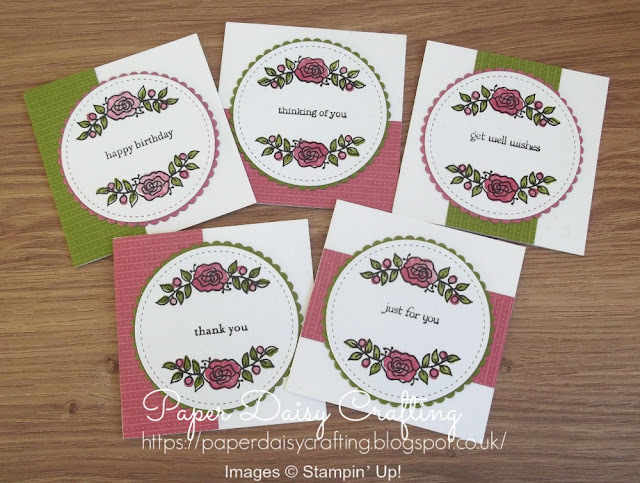 I used the solid stamps to colour in the images with Sweet Sugarplum and Old Olive. I mounted the circle on a silver doiley and glued it to the top of the box. I then wrapped some Old Olive Sheer ribbon around the box a couple of times before tying a bow. 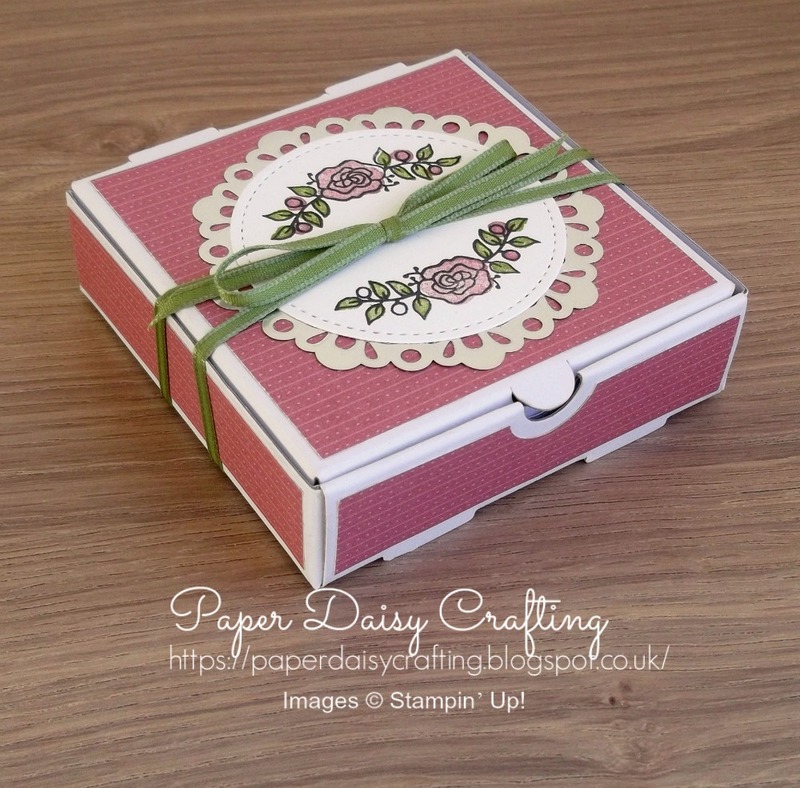 This little box is so sweet in real life - I'm not sure the photo really does it justice. Inside the box, I put 5 little mini-cards, made to fit our 3" x 3" envelopes. 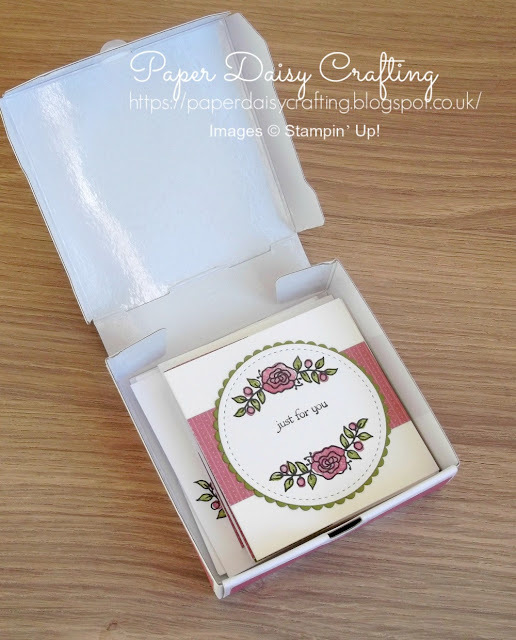 I made these in a similar way but added a different sentiment on each from the Teeny Tiny Sentiments set and mounted the stamped circle on a scalloped circle. I even stamped and decorated the envelopes to make the set even more special. And here are the cards nestling in the box. I really hope you liked my project today. Please leave me a comment if you have time - I love to hear what you think. Don't forget to subscribe to my blog to get automatic email notifications whenever I publish a new post. 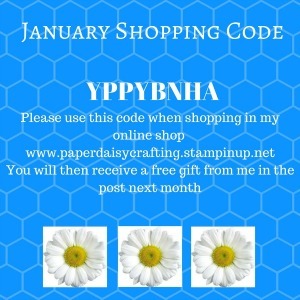 Or subscribe to my newsletter to hear all the latrest news and offers from me and Stampin' Up! I'll be posting a video tutorial showing you how I made my project in the next couple of days - you won't want to miss it!! To continue hopping just click on any of the links below. 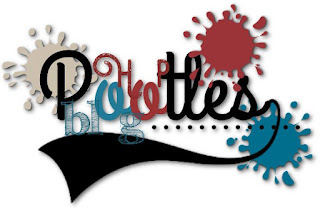 The lovely Karen Kilner is next up after me - her project is so lovely, you won't want to miss it! !